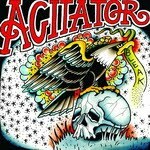 Agitator posted new jam Concrete Opinions from the upcoming album, Bleak. The song features Justice Tripp. CD will be released by Marked For Death Records, while vinyl version is handled by Six Feet Under.